B & P Printers, conveniently located at 222 West Northfield Boulevard, in Murfreesboro, Tennessee is a full-service, locally-owned printing company. B & P Printers has been proudly serving the Middle Tennessee area since 1986. Remember at Big Frog Custom T-Shirts and More, we always have: • No Minimums! • No Set Up Charges! • No Artwork Fees! • No Color Charges! • 24 Hour Turnaround! (on in stock items) And we have a 100% Satisfaction Guarantee! Cannon Arts Dance Studio is committed to the development of the individual dancer and his or her participation in the artistic process. Established in 2007, the studio is dedicated to serving the community and its environs by providing high-quality, professional instruction in dance and related arts. Cannon County Community for Animals is a non-profit 501 (c) 3 organization that is dedicated to caring for the companion animals of Cannon County through community awareness, education, networking, fostering and adoption. The Cannon County Library System consists of the Adams Memorial Library, located in Woodbury, Tennessee, and the Auburntown Branch Library. In addition to books and periodicals, the library system provides access to public computers and public Wifi access, educational opportunities, volunteer opportunities, FAX and photocopy services, genealogy assistance, and interlibrary loan assistance. The Cannon County Walking Horse Association, located in Woodbury, Tennessee, is a non profit organization located in Middle Tennessee in the rolling hills of Cannon County. The Cannon County Walking Horse Association offers the use of a campground located on Short Mountain, and social activities such as trail riding and weekend ride-a-thons to its membership. Cannon County Woodcraft is located on Short Mountain, in Tennessee. We build furniture, custom orders. We use nothing but hardwood that is local. We can also get Cypress and Cedar. We welcome all ideas, pictures and drawings. The Cannon Courier is a weekly newspaper and daily Web site serving Woodbury, Auburntown and Cannon County, Tennessee. Cannon Family Practice is a Direct Primary Care (DPC) practice in Woodbury, Tennessee. What is DPC? To find out more about our Direct Primary Care service and why it is a great option for you and your family, you can visit our website at https://www.cannonfamilypractice.com to find out more! Cannon Inn is a nine room inn, two of these which are suites. Prices start at $79.00 plus tax a night per room. Suites rent for 109.00 plus tax a night. Pets only allowed in certain rooms and a charge of $10.00 a night will be added. Check us out on Airbnb! CASA of Cannon County Tn. As a full-service Kubota dealer, we have the expertise, promotions and financing options to get you into the right equipment. For over 40 years, Crane Interiors has been producing marine upholstery and soft trim for the premiere manufacturers of world class pleasure craft. We manufacture Fishing Chairs, Buckets, Helm Seats, Benches, Bunks, Sun decks, Panels — all delivered “just in time” to our customers’ locations world-wide. DTC offers advanced communications services, including landline phone, Internet, DTC TV, security systems and customized business solutions. In the South our roots run deep. That gives us the strength to keep branching out, reaching high. FirstBank’s history of success is grounded in our fresh approach to banking that is more local, more accessible and more empowering. Which is why switching to FirstBank feels like a breath of fresh air. At Generations we provide quality mental health services, including: residential treatment, supportive housing, long-term health care, outpatient therapy, and medication management. We have been improving the quality of life for our customers for over 20 years. Huff & Puff Trucking, Inc.
Ignite Missions & Ministries, Inc.
Ignite Missions and Ministry is a non-profit religious organization with specific intentions and focus on rural communities. ICS provides carpentry services, primarily in Cannon County, TN. Jennings Jewelry Store, located on the square in Woodbury, Tennessee, is a family owned business, providing great customer service, and beautiful jewelry to the Cannon County community. Laid Back Custom Lumber is a sawyer located in Bradyville, Tennessee, and specializes in rough cutting of hard wood timber for lumber. The Law Office of W. Scott Kimberly, located on the Public Square in Murfreesboro, Tennessee, focuses on Criminal Defense, Family Law, and Personal Injury. Lu Ann Curlee, CPA, Inc.
Lu Ann Curlee is a Certified Public Accountant (CPA), located in Woodbury, Tennessee, offering professional income tax preparation services for local businesses and individuals. 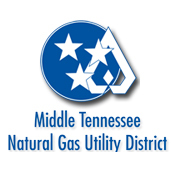 Middle Tennessee Electric Membership Corporation (MTEMC) is an electric distribution cooperative providing power to more than 220,000 members in Cannon, Rutherford, Williamson, and Wilson Counties, with offices in Woodbury, Tennessee. Potters Ace Home Center is the place for all your home improvement and DIY projects! Visit your local store and let us provide you great service! Angela Tate Mullinax award winning groomer. Venue is a 3100 sq. ft. building that is heated and cooled with a 1200 sq. ft. covered porch. Picturesque settings with Doolittle waterfall and creek. Sandor Katz, Foundation for Fermentation Fervor, Inc.
Caring professionals serving families any time day or night. Personal attention and excellent one on one service when you need it most. Call us 24 hours a day (615) 563-5337. Stainless acquired the Quality Industries inc. foodservice line in December of 2015. The product line has 50 years innovation in foodservice. Stainless has absorbed the engineering and will attempt to continue the innovation and bring the parts and manufacturing level to a world class level. Providing quality insurance services while recognizing customer needs for auto, home, life, health, and financial services products. Our team strives to provide quality and friendly customer service. Stop in and see us for a free insurance quote. General Sessions Court Judge with Juvenile Court jurisdiction. The beautiful, historic Readyville Mill, restaurant and event venue consists of five newly restored buildings: The Grist Mill, the Granary, the Icehouse, the Miller’s Cabin, and the Smokehouse, all located on six idyllic acres along the Stones River in Cannon County, Tennessee. The Town of Woodbury is the County Seat of Cannon County, and the largest town in the County. Woodbury is located along the banks of the East Fork of the Stones River. Owner: Krista Cobb Home Decor–Hand made items–Specialty items and more. WBRY is Cannon County’s source for local news and events. We have Norway Spruce, White Pine and Canadian Hemlock for Choose-n-Cut and Ball-n-Burlap. We will have pre-cut Fraser Firs and live wreaths. Come do your Christmas shopping in our gift shop. Hayrides and a kids’ craft room where you can paint a wooden ornament. We are an independently owned pharmacy located in Woodbury, TN. Our goal is to provide fast, friendly service with a caring attitude.